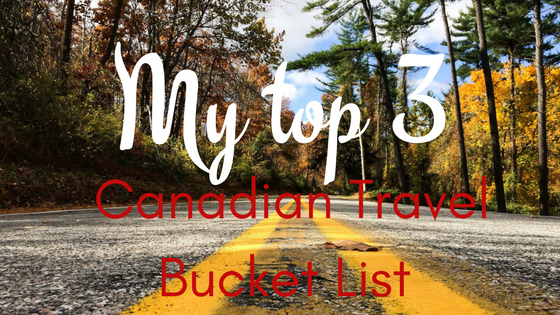 My top 3 Canadian Travel Bucket List of places I would love to see. Every morning for the past 3 weeks my youngest has asked me “Do we have school today?” so already I know my kids are needing a break. Heck, I need a break and we could all use a little downtime away from the hustle and the bustle of city living. With only three days left until the end of the school year, we have already started planning a few things we would like to do with the kids this summer. I’ve been filling in the little bit of spare time scrolling my “must travel there” category on Pinterest and planning what I hope may be our next family get away. I would love to go kayaking on a mountain lake, go hiking in the forest, play at the beach and pitch a tent in the outback. No cell phones, no computers. Bliss right?!? If you’ve been paying any attention to Canadian anything this year, you’ll know it is Canada 150 – the 150th anniversary of Confederation. So, it seems like the perfect opportunity to put together My top 3 Canadian Travel Bucket List of places I would love to travel to this summer. 1.Emerald Lake is the largest lake located in Yoho National Park in the province of British Columbia. It’s just 20 minutes drive west from its famous neighbor Lake Louise, but is not as well known. With a beautiful green hue, it truly stands up to its name. The color is most intense in early summer when there is a high amount of glacial silt flowing from the surrounding mountains. Due to the high elevation of the lake, it remains frozen from November to early June. 2. 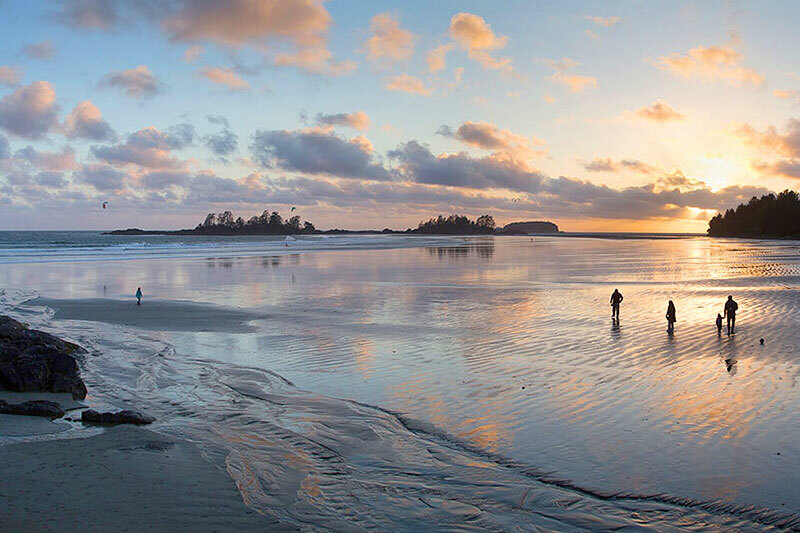 Tofino is the ideal escape from city life whether you’re taking in the gorgeous mountain views, collecting sand dollars on the beach, exploring the grounds in Pacific Rim National Park, catching a wave on surfboard, relaxing in the hot springs cove, whale watching or climbing aboard a bear-watching boat tour, this West Coast getaway has something for every family member. 3. 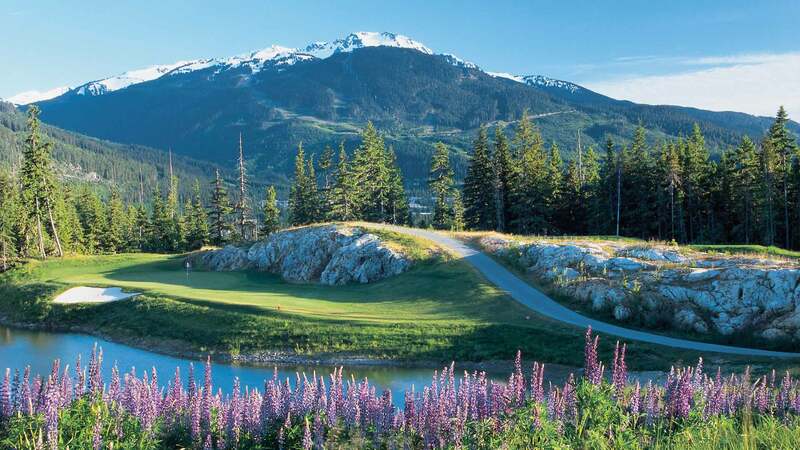 Whistler Magnificent mountains, pristine lakes, and a vibrant village – Whistler is Canada’s favorite year-round destination. There are two majestic mountains with a vibrant base Village, epic skiing, and snowboarding, four championship golf courses, unbeatable shopping, restaurants and bars, accommodation to suit every budget, hiking trails, spas and arguably the best mountain bike park in the world. And there you have it guys, the top three places that made it to the list. Have you been to any of them? I’d love to hear your thoughts on them if you have. If so, let me know what places are on it in the comments below. We are going to Iceland this Spring. Canada is on my list next! It’s so close, well not really, but I want to see these gorgeous sites! Well, I just added those to my bucket list, too. Those photos are stunning and, although we’ve visited many places in Canada, we haven’t been to any of those yet. This would be a good year to change that – and celebrate the country’s birthday! Wow, this is stunning! Those views would be amazing to see in person! My husband has traveled to Canada a lot to fish, we live in Wisconsin and it is very common to go over the border for a fun week long fishing trip. I have wanted to go with him, and now for sure I will! What absolutely breathtaking places! I have actually never been to Canada but it is on our Bucket Travel List. Emerald Lake looks stunning and somewhere where I can envision myself relaxing! A friend of mine is preparing to spend 2 months in Canada this summer. After seeing these photos, I am tempted to ask her to pack me in her suitcase! What beautiful sites! Have a wonderful summer exploring with your little ones! OMG those photos are stunning. What gorgeous scenery! We’ve been to Canada many times but haven’t visited any of these spots yet. Just added them to my bucket list too! I’ve always wanted to go to Canada. My husband too. These are some beautiful spots!!!! Breathtaking photos! I am in love with mountains! It’s on my bucket list to take a trip to Canada! I love the mountains… we are headed there in July but if I had my way we would have a cabin near Jasper so I could spend every weekend there. The scenery is just as breathtaking in the fall and winter as well. I’ve only been to Montreal a handful of times, but always enjoy a visit there. 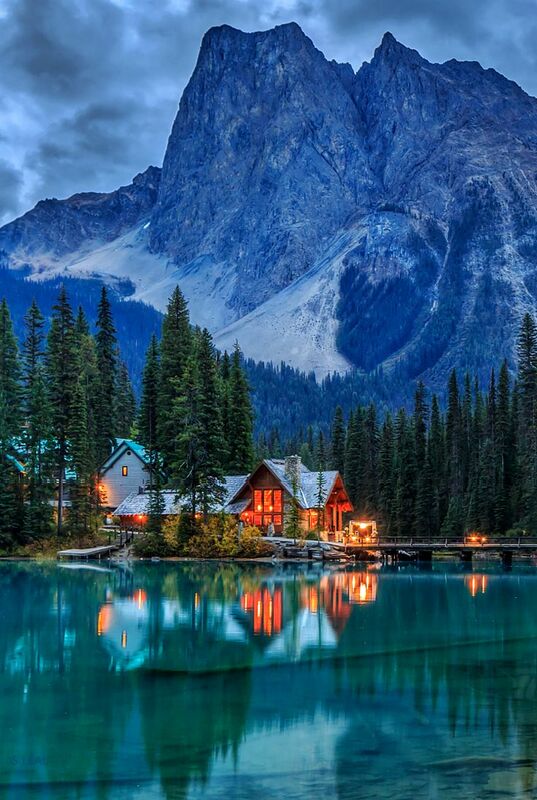 I would love to add more distinctive Canadian favorites to my travel bucket list too, especially Emerald Lake! What a magnificent view and the colors are breathtaking! We really loved a trip to Niagara on the Lake two years ago. Would love to go back and also discover some of these places on your list. Beautiful. We have been to Niagara on the Lake 12 years ago and it was beautiful. Honestly if we could have figured out how to move there we would! All three are stunning but that first picture is incredible. It doesn’t even look real! We are going to check it out next month so I will let you know!! I would love to visit Canada. My husband has been to Quebec but I’ve never visited. It’s so beautiful there, great pics for your bucket list.